As a leader in truck insurance Pathway Insurance can help you find competitive options for all types of commercial truck insurance in Florida, Georgia, Tennessee, Kentucky, Ohio, Indiana and Michigan directly and in the remaining states with our extensive referral network. Call us at 1-800-998-0662 to speak to an agent, or click on Florida Commercial Truck Insurance to submit your information to us for an online quote. Our skilled agents are available seven days per week online and by phone 9 am to 5 pm eastern standard time. With over 27 years of experience let us find the Florida trucking insurance you need! Florida Truck Insurance – What Do We Offer? If you need coverage right away or simply want to compare prices no problem! Call us at 1-800-998-0662 to speak with an experienced agent today or click on Florida truck insurance quotes to begin your online quote. Commercial Truck Insurance Florida – What’s the Difference? Trucking insurance is a rather broad term. It can apply to tow trucks that help disabled motorists or a company that specializes in repo work for lenders and dealerships. A moving truck, dump truck and owner operator truck are all very different from each other, so the coverage needs aren’t going to be the same between different types of trucking operations. So what are some things to consider for each type? 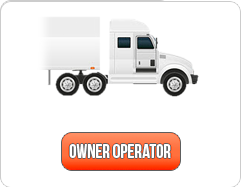 If you’re an owner operator there are several coverage options to look at. While under contract are you required to provide coverage for yourself or will the company you are working for extend coverage? If coverage is provided for your vehicle, cargo, and trailer while under authority did you know that this insurance will not cover your truck or trailer when you are finished for the day and driving home? It would be important to purchase Florida Non-Trucking Liability Insurance as this will extend liability and physical damage coverage (if you choose this) while you are not under authority with your freight carrier. Transferring perishables? Food spoilage coverage is another option. This may protect you if your cargo goes bad before you reach your destination. Non-trucking liability and Florida bobtail insurance, while similar, are not the same and should be discussed with one of the specialists at Pathway Insurance. As was mentioned above while not under authority with your freight carrier their commercial insurance will not protect you when you are between jobs. If you have your trailer attached non-trucking liability may be the right option for you. If you know you’ll be without your trailer frequently and need to be protected when not hauling then Florida bobtail insurance might be something to consider getting. 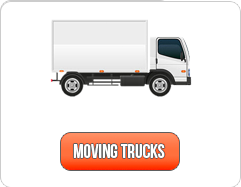 When operating a moving truck business you need to consider many different options. Is your insurance going to cover damages to your customer’s property? For example you are hired to move all household items for John and Tammy Smith and your truck is involved in an accident that is your drivers fault and the Smith’s incur $5,000 in damaged items…will your policy pay? Not if it is set up incorrectly. What if the truck is stolen during transport, or if an employee accidentally injures someone? There are insurance options that can cover each of these scenarios and more. 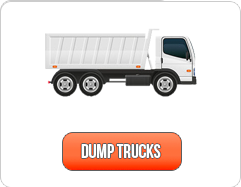 Dump trucks are used to clear away debris from construction sites, large renovation projects, and much more. What are the best ways to make sure your business is covered? There are plenty of insurance coverages that can apply to dump trucks including ones that can protect your vehicle from damage, and accidental damage to personal property. 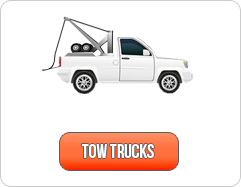 The coverage necessary for a tow truck operation no matter if you are exclusively offering towing or you own a garage offering tow services will be different compared to an owner operator. For example a Florida tow truck insurance policy will not extend coverage automatically to vehicles in your care or control while they are being towed or while they are in your possession on your property. You need to purchase specialized coverage to cover this exposure. For example Florida On hook towing insurance protects you in the event the car you are towing becomes damaged while it is in your care. Garagekeepers legal liability insurance is another option, especially for tow truck drivers. If you will be storing client vehicles on your property, whether it be a car that needs repaired or one that’s been repossessed, in the event they are damaged, vandalized or stolen you need to purchase Florida garage keepers insurance. One of our agents can help you assess what coverages you need. Call us Today When You Need Florida Commercial Truck Insurance! No matter if you’re looking for Florida tow truck insurance, owner operator insurance in Florida, non-trucking liability insurance, Florida cargo insurance, moving truck insurance, Florida dump truck insurance, box truck insurance, or Florida log truck insurance we can help! Allow the qualified agents at Pathway Insurance help you get the right amount of coverage for a competitive rate. Call 1-800-998-0662 to speak with an agent or click on Florida Commercial Truck Insurance to begin your online quote today.